Ph.D. in Electrical Communication Engineering is a 3-year doctoral level program in Electrical Communication Engineering study. The eligibility of the program is to clear the Master’s degree in any relevant discipline or qualifying an M.Phil. degree with a minimum aggregate mark of 55% and above from a recognized university or college listed under UGC/AIU. During the third year of the program, candidates are required to submit the research thesis, the topic of which will be suggested by the faculty. Candidates are required to clear the common entrance examination conducted by the university for admission to the program. This will be followed by a personal interview by the college faculty. The program concentrates on the areas of problem solving, analysis and application of mathematics in the areas of research. Aspirants are required to possess the skills of innovation, analysis and synthesizing data which would help in making them competent to understand the intricacies of the subject for conducting research. Having a tactful mind to grab the minute details of the data and conducting an analysis of it is considered to be a beneficial trait for availing for this program. The average course fee ranges between INR 32,000 to 3.16 Lacs, for the program of Ph.D. in Electronics and Communication Engineering. Doctorates have a wide spectrum of employment opportunities in the areas of banking, wireless industry, forensic, railways and much more. The average remuneration earned by the doctorates as freshers ranges between INR 2 to 10 Lacs per annum, which can increase with experience. Eligibility Qualifying a Master’s degree in any relevant discipline or an M.Phil. degree in the respective subject with minimum aggregate marks of 55% and above/ Entrance Examination like NET, DET/ Personal Interview. Top Recruiting Companies Sony, Nokia, Philips Semiconductors, Toshiba, etc. Job Positions Service Engineer, Software Analyst, Field Test Engineer, Senior Sales Manager, etc. Ph.D. in Electrical Communication Engineering: What is it About? The doctorate program in the stream of Electrical Communication Engineering is a comprehensive field of study wherein the students are imparted with the knowledge of electronic engineering and its fundamentals in research. This program lays more emphasis on the thesis part of the program. Students are offered the knowledge of principles, fundamentals of networking, Use of electronic mediums in the different areas of business and so on. The program requires candidates to have a good base of subjects such as physics and mathematics. They are also needed to have an innovative and inventive mind to make proper decisions and devise creative programmes. This program helps in polishing the skills of communication, work in a team, evaluate data and invention. Ph.D. in Electronics and Communication Engineering deems to be a beneficial program for those who wish to pursue their career as professors in reputed universities and institutions. The curriculum is designed in the manner which makes it easier for the students to gain a deeper understanding of the subject. In order to conduct thesis, the students are required to have a good understanding of the area of research, problem formulation and conducting research using good mathematical knowledge. The areas of analysis, synthesizing, scientific intellect and business entrepreneurship are covered through this program. The doctorate program in Electrical Communication Engineering is a lucrative stream of study for those who wish to pursue their career in the area of research. After the completion of the program, candidates have an opportunity in the areas of Electronics, Communication, Research, Forensic and much more. Many colleges have their own placement cells wherein reputed companies come to hire efficient candidates. The program aims at providing the students the skills and competence to become proficient researchers and formulate the thesis. Candidates are required to have completed their Master’s degree in any relevant discipline with minimum aggregate marks of 55% and above from a recognized university listed under UGC/AIU. Those who have qualified M.Phil. degree in the respective subject is also eligible for admission to the program. Some reputed colleges and universities will conduct the common entrance examination as prescribed by the universities for admission to the program. Some colleges may also conduct the session of a personal interview for the admission. Applicants who aspire to enroll in the program of Electrical Communication Engineering are required to meet the grounds of eligibility criteria as set by the respective colleges. Candidates are required to have cleared their Master’s degree in any relevant discipline or an M.Phil. degree with minimum aggregate marks of 55% and above for availing admission to the program. Clearing the common entrance test as prescribed by the university is an important criterion for admission. Admissions to the program are conducted on the basis of merit list. Calculating the cumulative marks obtained in the entrance examination, personal interview, and the qualifying examination is added to set the final merit list marks. This marks will be different for all colleges. Candidates will be required to submit the research proposal before the commencement of interview. The application forms can be downloaded from the official website of the college. All the information and details of examination, admission and course prospectus can be availed from the website. The curriculum is designed in a manner which makes it easier for students to acquire an in-depth knowledge of the subject. The program is divided into the theoretical and practical study. The course study in the first two years consists of theory and the third year is completely concentrated on the research study. The assessment will consist of class tests, assignments, and viva voce, by qualifying all of which the student will be rewarded the Doctorate degree. Doctorates who have successfully completed their program in Ph.D. in Electrical Communication Engineering are trained to carry on a plethora of tasks and manage the workings of the industry. The students are qualified to evaluate data, take up the profession of professors in reputed universities and colleges as well as become prominent researchers. Candidates have experienced in analyzing, innovation, assembling as well as repair of components. They have employment opportunities in the areas of banking, manufacturing, wireless industry, agriculture and much more. Many reputed colleges have their in-house placement cells wherein reputed companies come to hire competent students. 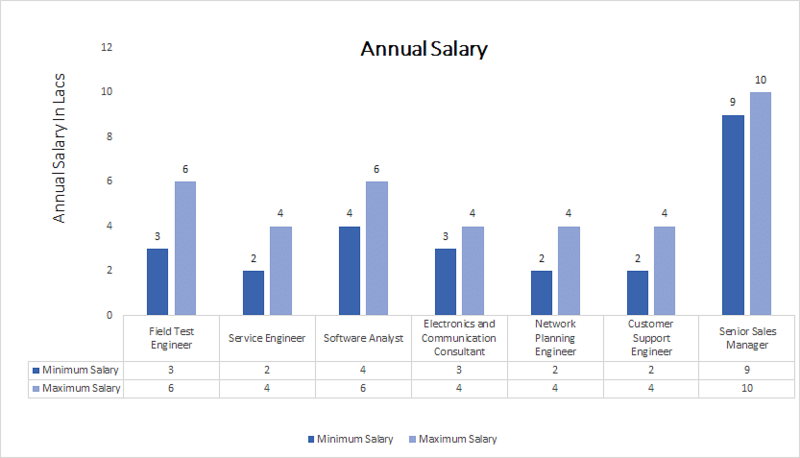 They can become Software Analyst, Service Engineer, Electronics and Communication Consultant, Field Test Engineer and much more.